The admission in various courses like B.Sc-M.Sc (Integrated) 5 years, B Sc. (Hons.) Co-operation and Banking Degree Programme, Diploma, MBA, PG and Ph.D. Programme are provided by Kerala Agricultural University. Candidates who are willing to apply for KAU Admission 2019 should check their eligibility criteria from the official notification. On the performance of the individual candidates in the written exam, the admission to this university will be based. After the written exam, the rank will be published according to the performance of the candidates in the written exam. 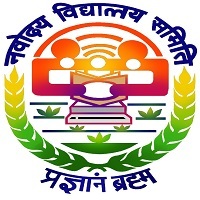 All the important information about KAU Admission 2019 such as Important Dates, Eligibility Criteria, Exam Pattern, Syllabus, Admit Card and Result, etc are given in the article below. Application forms are available for MBA Agribusiness Management from 3rd April 2019. 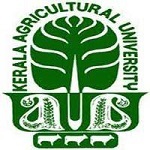 Candidates can Click Here to apply for Kerala Agricultural University. Passed Plus Two/Higher Secondary/ recognized equivalent examination with a minimum of 50% marks is required to be eligible (pass class for SC/ST candidates). The above examination should be passed with Physics, Chemistry, and Biology or Physics, Chemistry and Mathematics. Biotechnology in plus two level may also be considered. Candidates should have studied Mathematics as a subject in the +2 level, for Climate Change Adaptation Course. M Sc. (Ag./ Hort. ): Bachelor’s degree in the respective subject/ equivalent degree recognized by KAU with a required CGPA/percentage. M.Sc. (Forestry): A basic degree in Forestry/ Agriculture/ Horticulture/ B.V.Sc. & A.H (for Wildlife Science only) or equivalent degree recognized by KAU with a required CGPA/percentage. M Sc. (Ag.Statistics): A degree in Agriculture or equivalent recognized by KAU. Or degree holders in B Sc. Mathematics/Statistics from a recognized University can also apply with a required CGPA/percentage. M.Sc. (C&B): B Sc. (Hons.) C& B degree of the KAU or an equivalent degree recognized by KAU with a required CGPA/percentage. M Sc. Home Science (FS&N): A bachelor degree in Home Science/Family and Community Science or B Sc. (Hons.) Ag. of KAU or equivalent with a required CGPA/percentage. M.Tech. (Ag. Engg. ): A bachelor degree in Agricultural Engineering/Food Engineering or an equivalent degree recognized by KAU with a required CGPA/percentage. 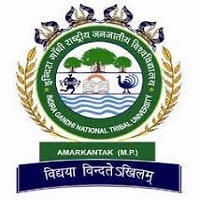 Professional graduates of State Agricultural Universities/ Deemed Universities under ICAR system with a required CGPA/percentage. Graduates, including professional graduates from Indian/Foreign Universities recognized by AICTE/UGC with a required CGPA/percentage. Candidates appearing for the final examination of the qualifying degree are also eligible to apply for the course. These candidates will secure their mark list and provisional certificate on or before the date of admission. For Ph.D except in Home Science & Rural Marketing Management: Master’s Degree in the respective discipline /related discipline from the faculty concerned of KAU or a recognised equivalent qualification with a required CGPA/percentage. A basic degree in Agri./ Hort./Ag. Engg./ Forestry is essential for all courses except Home Science and Rural Marketing Management. For Home Science: M Sc. in Home Science with specialisation in Food Science and Nutrition/M Sc. in Food Science and Nutrition recognised by KAU with a required CGPA/percentage. For Rural Marketing Management: Master’s Degree in the respective discipline /related discipline from the faculty concerned of KAU or a recognized equivalent qualification or MBA (ABM) with a required CGPA/percentage. Applicants need to read all the important details related to the university. On the basis of the performance of candidates in the written test and previous academic records, the selection of candidates to different courses will be done. Read the next section to know more about the selection process. The application Fee for General Candidates is Rs. 750/-. The application Fee for SC/ST candidates belong to the State of Kerala is Rs.375/-. SC/ST candidates with nativity other than Kerala have to pay Rs.750/- as application fee. Admission will be based on total marks obtained in Biology, Physics and Chemistry in +2 or equivalent examination. The total marks/ marks in Biology/age of the candidate etc in the decreasing order of priority will be considered, in case there is a tie. The selection of candidates will be based on an Entrance Exam. The questions in the exam will be objective type and based on the +2 syllabus. Allotment to the course will be based on the rank list published by the University. The examination center will be decided by the University in accordance with the number of applicants. There will be an entrance examination of two hours duration. The questions will be objective multiple choice answer type. M.Sc.(Ag.) /M Sc.(Hort. ): One entrance examination of 2-hour duration with questions from B Sc. (Ag.) syllabus of KAU. M.Sc. (Ag. Stat. ): Entrance examination with questions from B Sc. (Mathematics / Statistics) syllabus. M.Sc. (Forestry): Entrance examination with questions from B Sc. (Forestry) syllabus of KAU. M.Sc. Home Science (FS&N): Entrance examination with questions from B Sc. Home Science syllabus. M.Sc. (C&B): Entrance examination with questions from B Sc. (C&B) syllabus of KAU. M.Tech. (Ag. Engg. ): Entrance examination with questions from B Tech. (Ag. 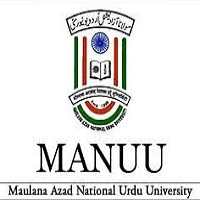 Engg) syllabus of KAU. Admission shall be based on the score in the KMAT, CAT or CMAT followed by Group Discussion and Personal Interview. The general candidate should have the required Academic Performance in the qualifying degree examination. A minimum of 50% marks (40% for SC/ST candidates) is necessary for qualifying the interview. 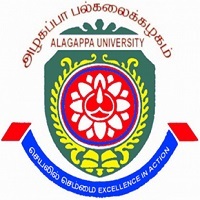 Is it an exam separate for vellayani agriculture institution other than Keam. How to apply?